Real reviews from real clients! 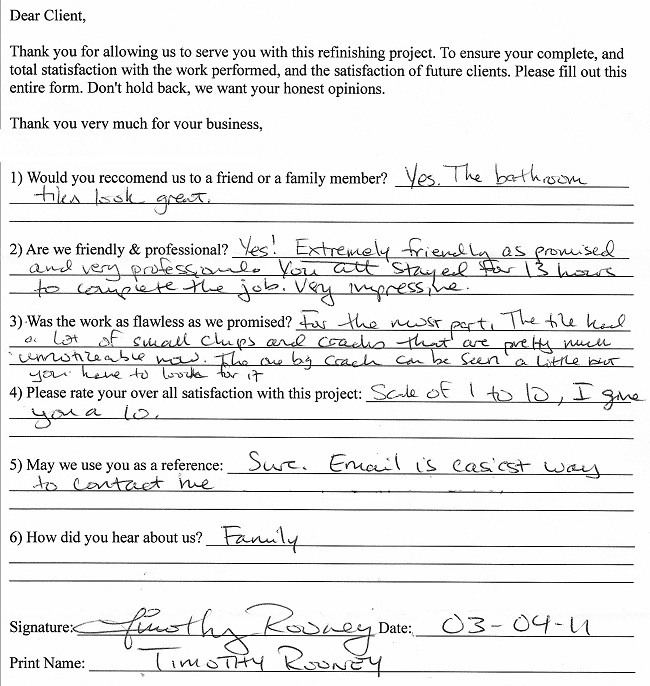 This review comes to us from Patrick W. We have a binder filled with hundreds of these rave reviews! One hundred percent client satisfaction is our goal. We take our time and do the job right the first time. If you want to love the look you see, be sure you hire the right company. Have questions or concerns about reglazing your bathtub, shower, sink, or kitchen countertop? Please call us today at (314) 662-3543 to discuss!